Do you suffer from the winter doldrums? Did you know you can’t suffer from just one doldrum? Did you realize that the doldrums also refers to a kind of weather that has baffling winds? Has your hair ever been baffled after you were out in the wind? Are you sometimes baffled about why you read this blog? If you answered yes to any of those questions, particularly the last one, then, indeed, you are suffering. I don’t mean to alarm you friend, but you most certainly have the winter doldrums. Up until now I have only hinted at my medical condition, trying to make light of it, but today I want to tell the whole sad story; a story of bafflement, suffering, survival, and chocolate. A baffling wind blew on the day of my birth, or perhaps fate had nothing better to do that day than to ruin my life, but I was born with the tantrums. Unless you have a medical background, you probably don’t know that the doldrums come from the tantrums. Back in the early 1800s, an etymological virus blew in on a baffling wind and infected the word “tantrum,” replicating the second syllable. People who were feeling dull and listless were highly susceptible to this second syllable and soon started coming down with what came to be known as the doldrums. I was born with a particularly virulent form of the tantrums, and anyone who comes in contact with me is almost guaranteed to get the doldrums and break out in bafflement, unless I take my medication. From birth, I cried all night and slept all day. Nothing pleased me, and no amount of soothing, rocking, or holding calmed me. My mother, an unlicensed non-nurse, came down with the doldrums and immediately suspected that I wasn’t hers. However, the hospital refused to take me back, so she knew she had to do something. She did what any mother who loved her child and feared for her own sanity would do; she started medicating me with caffeine through my feeding tube (AKA baby bottle). If you’re into heartbreak and tragedy, you can read about it here. Having discovered that administering caffeine to me reduced her suffering significantly, my mother began giving me Easter baskets filled with even more medication, cleverly wrapped in foil to look like little brown eggs. I thought it was candy! As I grew, so did my tantrums, and I finally had to face the fact that I would need to be on medication for the rest of my life. I’ve come to terms with it now, partly because my family is so understanding and supportive. No matter what the occasion, at least one of my loved ones presents me with coffee or chocolate. None of them ever uses the word “medicine,” but I see the suffering behind their smiles. They take my condition very seriously. 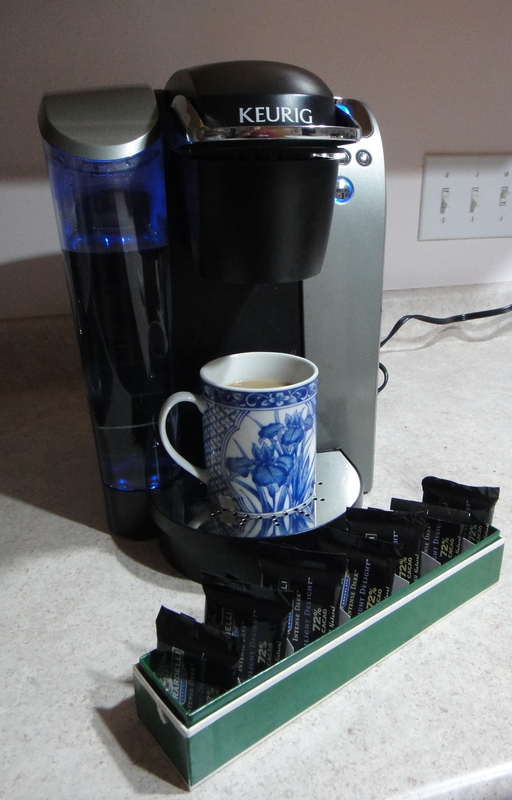 This past Christmas my brother bought me a machine that prepares my liquid medicine called a Keurig. It’s pronounced “cure rig,” and that’s exactly what it does; it’s the rig that delivers the cure. 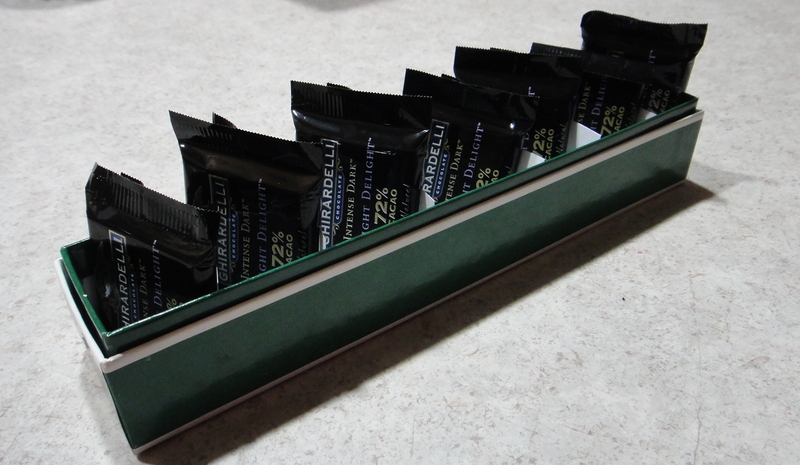 This month to commemorate the baffling wind that blew that fateful day so many years ago, my sister sent me a supply of medicine from Ghiradelli, the well-known pharmaceutical company. How do you do it, you may be asking. Frankly it’s hard. But I manage. I think the hardest part is when the grandchild comes over. The little one sees my medicine container and doesn’t understand. No, darling, I have to say, that’s grandma’s medicine. The poor little thing thinks it’s candy. So like myself when I was young. I had to make my own medicine reminder box because the tablets are so large. However, they are surprisingly easy to swallow. My medicine box helps remind me to take a minimum of one tablet per day. I have more to say on this subject because medication alone cannot beat the winter doldrums; you also need exercise. However, my cup is empty. Literally. I’m off to find the cure. I got my poetic license! As soon as I hit the “Post Comment” button, I thought of wine. I almost edited my comment, but decided not to. Thanks for including Chardonnay. I was going to say Pinot Noir. That made me smile. You were merely the recipient of her largesse. 🙂 We addicts are nothing if not creative. Once again, you’ve managed to take a universal subject and make it all your own. I understand, and can relate, to your addiction. Also, I laughed my head off, especially at your version of advertising mouse-print at the bottom of this essay. Okay, and once again, I need to share this on FB. Yearstricken, you are BRILLIANT. You are a fellow addict, right? I’m glad you liked it, Courtenay. Courtney is right you are brilliant..ahhh thank you so much I needed a laugh! Without my medicine I do not get doldrums but I do get a serious case of crankiness. Those around know to get me some medicine quickly or they will be miserable. It’s nice when those around us recognize our problems and are wiling to be part of the solution. May the world never run out of your required medications, for we are the beneficiaries of their magnificent curative powers. I feel your pain! So glad there are proper palliatives available. I start my day with a mocha latte and that’s when the nice Kate comes out. Sometimes when I get cranky, the beloved husband has been known to suggest a trip to Starbucks or the drugstore for some….ummm…..medication. He is so sensitive! I am so with you! I always suspected you were on the same medication. 🙂 And I like the image of the nice Kate in that mocha latte. It’s like our better selves are little genies that live in coffee cups and must be released each morning. I get my liquid medication brought to be each morning by my own personal superhero, CoffeeBoy! His alter ego is my mild mannered and uxorious husband. He sounds like some kind of medical hero! P.S. You get an A for the day for using a four-syllable! word that has five vowels in it. Great idea! Hooked on chocolate? 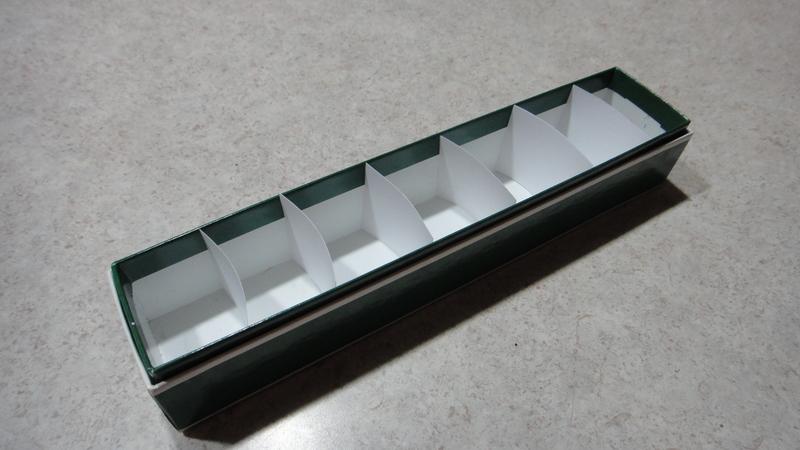 Get a fishing lure storage box! I love your seven day medicine box. I want one like that! The darker forms of medicine seem to go down better for me–you add “milk” to it and it seems to lose its effectiveness. Likewise the same for the white version. I’ll still eat it, but it does nothing for me. As for your liquid variety, I don’t drink that kind of medicine much. It’s too bitter for my taste. I find the only way I can get it down is if I adulterate it with ice, chocolate milk and flavorings so it resembles dessert in flavor. When it is hot, it is far too bitter for me to handle. So if I need the liquid medicine, I tend to choose Viso or other “energy” drinks, instead. When I was walking across Oregon back in 2009, I found half a bottle of Viso and a three ibuprofen gave me the energy to jaunt 10+ miles a day and helped drown out the screaming of my tootsies, which were blistered and sore. Worked like a charm! I like the bitter taste of coffee and dark chocolate; it reminds me of me. I’ve never tried Viso or any other energy drinks. But, on your recommendation, the next time I walk across Oregon I will try Viso with ibuprofen. Seriously, you walked across Oregon? Right to left, or top to bottom? I bet you have a lot of interesting stories. Perfect timing. 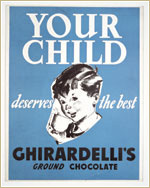 I just bought a bag of those super dark Ghirardelli squares yesterday. And whilst suffering from a tantrum whilst downloading pictures of onion skins for my blog, I somehow consumed the entire bag. Some rapid calculations inform me that I almost unconsciously absorbed about 1100 extra calories. And when they work their way down to my omentum, I will be beset by another tantrum. And probably a bad attack of the doldrums as well. I’m wondering what can counteract the dire side effects of this otherwise most effective anodyne? Yikes! The whole bag? It’s odd, but when you overdose, you often induce the very symptoms you were seeking to cure. My sympathies. The next time you purchase that many, please send most of them to me for safe keeping. That way you won’t be tempted. You’re welcome. I feel like this post was almost like a Public Service Announcement. Almost. I am on the same meds for the same ailment! And I would just like to say that I am dismayed that BlueCross BlueShield still isn’t covering it. But I have hope that someday my provider will include it in my flex account. It’s a sad day in American when your insurance company fails to provide the medication you need to get through your day. I wonder if we could bring a class action suit of some kind. I thought it was kind of weird myself. After reading through all of the comments, I see that many of us are also afflicted with tantrums and need copious amounts of medication. I have been without my medication for three weeks now and I am feeling a hair raising hissy coming…. Like Courtenay Bluebird, I am sharing this one on facebook – I feel it is a public service to educate the rest of the public about the perils of not medicating the doldrums, bafflement and tantrums. I had no idea how prevalent the tantrums were. Three weeks! You poor child. Spread the word by all means. Medicate: It’s what Americans do! Glad to hear that you were able to find the proper treatment for your malaise. Found this a very informative post… and thoroughly enjoyed the humor, as always. Wishing you a beautiful day, yearstricken. Merci for this brilliant assessment and remedy. Although I rarely medicate on either “med” myself, I find ingesting or imbibing anything with caramel aids in dissipating doldrums toute de suite – toot sweet! Incidentally, when desperate, I find chocolate-covered caramel works aussi. Some people have adverse reactions to some medications; I’m glad you’ve discovered the one that best deals with your symptoms. Genius… and all medically verifiable…. Yes, I always check very carefully and thoroughly as you know. I’m so glad you wrote this. I have suffered from the same ailment in silence and without a name for my disease. Thank you thank you. Now I’m off to celebrate. Can you spare some medication? I’m glad I could help you – sometimes just having a name for a disease helps. However, on the matter, of sharing medications…I’m pretty sure that is illegal, and if it’s not, it should be, or it has to be because I couldn’t possibly…I mean, it’s my medication and all. I need, need, need the tablet form, but cannot stomach the liquid form despite the enticing smell. Does that make me only 3/4 addict? By the way, I have also become addicted to the humor you provide me almost daily. If it didn’t make me so happy, I would say for shame. I love both tablet and liquid, preferably together. Thank you so much for reading. Even when I am not humorous. Up to now I have shamelessly kept your wonderful humor to myself, hoarding your verbal acuity and selfishly retaining the knowledge of your blog’s whereabouts; however, I will relent and share this post with my little corner of the Facebook world. I found your description of the evil doldrums to be most astute and completely understand your preference for the darker tablet form; I myself , however, prefer the white liquid variety as a cure for my tantrums (see the following post http://emariaenterprises.wordpress.com/2011/11/21/when-did-they-change-the-milk-values/ ). I have been known to get really cranky when I have to go without for a few days…. My husband will relent on his budget constraints after only a couple of days of my company without benefit of this mother’s little helper. I like milk, but you are a true milk drinker. I don’t know if I have ever even tasted 5% milk. I use 1% usually, and 2% sometimes, which seems so much richer after 1%. (I hope you are not pulling your hair out over that. :)) But if rich milk is what cures the tantrums, it is worth every penny. Ah, the wonders of the “cure rig”. I only have limited access to the divine elixir it produces (in my case, Irish Breakfast hot tea), but I find that if I give its owner a pleading look, the owner takes pity on me and graciously allows me to sample the free medication. I have an easier time with self-medication through chocolate. Lots of samples available (alas, not for free) through my nearest store. I have used the machine for tea and it seems to work well. Strong tea works almost as well as coffee for me. And both tea and coffee go best with chocolate.